International Enabled Diners Club Rewardz credit card is yet another variant in premium segment of HDFC Bank Credit cards. This card is considered one of the best cards for middle class segment which offers best features in context of dining or concierge services and traveling purpose. It provides you a royal feeling as it gives you exclusive lounge experiences at their dedicated lounges, say in Mumbai and New Delhi airports. It has the Largest Indian airport lounge program, with access to 25+ lounges in India with unlimited access across the year. Diners Credit Cards are basically specialized for Dining & travel purposes and so the name DINERS. So the attractive feature of the card which makes it different and exclusive from all other cards in the beginner segment is its dedicated concierge and dining services offered. The reward earning rate is yet another attractive advantage of this card. Something interesting here. Note the 3rd POINT above, if you spend 10k or above in a statement cycle, you’ll get ~4000 points for 1Lakh spend, which is equivalent to ~3,000 INR in savings! (or 4000 Air Miles) This is huge and stands in par (infact above) with topmost cards with HDFC like Infinia or Diners club black. Well, no one at HDFC Customer care was able to answer/re-confirm my question on this. Maybe someone need to typically get it, spend it to validate this point to what extent it is true. Redeem Reward Point for AirMiles against Jet Airways (JPMiles) or AirIndia Miles. Reward Point: Welcome gift of 2500 reward points. Earn double reward points on grocery or super market purchases and on dining and air ticketing and on incremental retail spends of 10000 and above per statement. Redemption of Reward Points: Earned Reward points can be redeemed for air miles against Jet Airways or Air India miles or for booking hotels or air tickets across 150+ domestic or international airports/hotels. Fuel Surcharge Waiver: Surcharge is waived off completely if fuel purchases are made between Rs 400-5000 across all fuel stations. Protection: Air Insurance cover of Rs 50 lakhs in case of death in air accident to the next nominee. Renewal Fee Waiver: The annual fees of the card is Rs 1000 which can be waived off if you spend Rs 15000 within first 90 days of receipt of the card and then later every year if you spend Rs 1 lakh, the fees will be waived off. Complementary Airport lounge access: Yes, Unlimited access within India. The card is overall best suited for you if you are a frequent traveller or dine out regularly. The features are designed so as to give customers a royal treatment with many more attractive features. As a matter of fact, this is the only such credit card which has the ability to provide unlimited lounge access and unparalleled reward points on incremental spends. Do you have this card or wish to have one? Drop your comments below! I believe this is the worst card. I shop for jewellery and on payment it doesn’t work. That was so embarrasment after spending 2 hrs on selection of jewellery, this card decieved me when its payment time. Contacted the customer care the same time, then I come to know it doesn’t work at some of the POS machines. It means before shopping I need to check at machine whether this card will work or not. Thats so ridiculous. That jeweller was a known person so he being humble told me to take the jewellery and pay tomorrow no issues. Will stop this card now due to the embarrasment it brought to me. True, Diners cards has its acceptance issue in India. You should always hold a backup Visa card. Yes very worst card, not accepted any where other then HDFC machines. For the matter of information, I have been holding a Diners Card for the last 8 months now. It is accepted at a lot of POS machines from banks like HDFC, Citibank, Yesbank and latest addition is Axis Bank (Confirmed it today by paying). So yes, it has problems but it is now accepted at most if not all POS machines. The only major bank POS machines which still might not support Diners Card are ICICI and SBI. The acceptability of Diners Cards has increased drastically now. However, just in case you still don’t want to take a chance, then do keep a back up card from VISA or MasterCard. Also canara bank POS machines accept this card. Not sure about ICICI but I think it works. SBI machines still doesn’t accept this card. Yes, this is the worst credit card as experienced by me. Before application of HDFC credit card , please ensure the offered card is 16 or 14 digit number. Diners card is 14 digit number and not accepted in everywhere. I used Diners Club rewardz card on 20th Nov 2016 at PNG Jewellers Chinchwad. No issue i faced. I initially too thought so.But ultimately using it 6 months wherever it accepted i concluded that this is actually the best credit card.Now it is being accepted at almost everywhere with few exceptions which will also be improved.It gives highest reward in comparison to any credit card in the world and lounge acces is unlimited.points redemption method and choice is also praiseworthy. I have credit card of citi,icici,Indusind,standard chartered but this card gave me a lot of profit. Yes same problem with me…when you knw the problem in india why hdfc launched this card in india….so embracing…. Is there any limit on the reward points we can earn each month? Limit in accelerated point scheme.Normally limit is on the basis of your credit limit. is EMI possible with Dinners reward card on online merchant sites? Yes, provided your a/c has that offer. They change offers every month. Query… Can I change this card to money back card.? Bcoz I am facing issue with the online payment and swipe machine. Can we swipe the credit card for retail purchase of mobile in any store ?? Is it accepted??? Which is the best card: Moneyback or Dinners rewards?? Diners cards are accepted only on HDFC swipe machines. So acceptance is limited in stores compared to online usage. Well, Diners often run promotions while moneyback doesn’t. Read individual reviews that we did earlier, to get better idea. I am currently holding HDFC Diners Premium card, but as you know, it is not accepted at all the retail and online POS (like Payzapp), I have to use my ICICI visa card, which leads to me missing out on more reward points. Can you suggest how do I compensate for that? I would ideally want a HDFC Regalia card to go alongside Diners, but had a discussion with HDFC customer care, they say I cannot hold 2 HDFC cards on my name. what do you suggest? You can have 2 cards if you have high Credit limit. However, Reward points on Regalia is not that high these days to chase it too. I m bit confused.. My requirement is mostly for EMI facily on online purchase of electronic devices..
Also I want my credit card to be accepted as well on the sites like flipcart, amazon and snapdeal.. I was approached by HDFC bank agent for credit card and he insisted upon th eDinners rewards card.. But I myself checked the reviews and found that Dinners Rewards card has acceptance issue. Could you please suggest the appropriate card.. I m new for credit card.. If you’re new and planning to hold only one card, go with Moneyback card then. Diners Card not suggested in that case. At first take diners but one other card too with it.And use diners at first if not working then use other one. Diners cards are accepted in most online sites, except Amazon India. I need to apply diners black credit card from HDFC. Can you help. ll u need is good rel. value with bank. Contact your RM. Is it acceptable for ACT beam bill payment online? Haven’t checked. You can also check them on Diners Site. Is Slonkit still accepting Diners for add money? It was accepting from long time. I am using it for last 1 year. Under rewards and redemption, the last line. hey as mentioned 1 point = .75 rs but when i redeem my points for voucher its not worth it ex last time i redeemed 6500 points for 2500 yatra worth voucher(which worked) , so how i can redeem points in money. how could i get points more online purchase emi. Have been using this card since 9 months now and my experience has just been great. I agree it has acceptance issues in local stores, but most of the supermarkets will have HDFC Machines, so you can use it there. It is accepted in almost all websites online.Best part is Buy 1 get 1 free offer on Movie tickets on Diners club website, it is for unlimited tickets every month. Must have card if you are a movie buff. The rewards program is also great, I recharge my mobile and DTH every month through Diners Club website where 1 Point=.75 Rs which is great value for your accrued points. Final verdict = Just go for it ! Thanks for sharing your experience Swaroop! I am from PUNE and have applied for CC . i have to choose between allmiles and diners rewardz. As i read above, we get more RP in diners but it has acceptance issue. I usually spends in movies, grocery, bill payments, recharge, dining (twice in month ) and air travel (12-15 tickets a year), train tickets (15-20 per year). I am confused , which one to choose? Also, does allmiles/diners site charge little extra for air tickets as compared to others or direct booking from airlines site?? Get Diners Rewardz. Use it for shopping & travel to avail 10X rewards with partners. Have some backup visa/mastercard debit/credit card always. Which one should I try to get? They are offering me Diners Rewards, but I am looking at card that will give me access to both Domestic as well as International Lounges? Which card shall I look for? For Intl Lounges, you have to go for Diners Premium. Thank you for assisting us ! I just received my “Diners club rewards” credit card. I read out benefits and could see that the accrued points can be redeemed under various options. Just want to clarify can I use it restaurants for my dinning? or can I redeem only if I dine in star hotels. Thanks to assist again ! You can redeem it only for stay and not for “dine” alone. check diners website for multiple redemption options. Recharge/flight booking is something you need to consider for making best use of the points. The rewardz point conversion is not suitable for me… can I get upgrade to Moneyback back card? Well, Diners to Moneyback card is kind of Downgrading. You can do if you want to. would you please tell me the procedure to covert from diners rewards to money back credit card. Whether it would be difficult to change or easy to change. Should be easy after 3-6 months. Contact bank. Depends upon what offer you’re given. These days HDFC giving for LTF though. I was also the told the same from HDFC representative whle getting diners rewards credit card. so does it mean that we dont require to pay any renewal or annually cost. Or any hidden cost is there and need to pay it after one year. I have taken Diners club card & first i tried on purchase of book my show tickets but its not accepting there. Its unlimited Buy1 Get1 kind of offer with Diners cards. You have to book via Diners website for this, not with BookMyShow. Any Visa HDFC credit card which has no annual fee and lifetime Free? Most cards that HDFC issues these days are Life Time Free types only. Does bill payments of Diners Club Rewardz Credit Card need me to have an savings account with HDFC? Or I can pay with any other banks savings account? This will be my 1st Credit Card. You can pay via NEFT from any bank to your Credit Card Account. 1. This card do not have EMI facility in merchant website. You have to convert existing purchase into EMI through Smart EMI option from Netbanking portal. 3. As of now Payzapp does not support dinnersclub cards. 4. Billpay possible through SmartPay and BillpayPlus from Netbanking portal, but not with hdfc register and pay directly. Thanks for your concern. However, I have already got this card. 1. I tried placing an order with Flipkart and I got my card accepted for EMI option there. I don’t know about other merchants. Also I rarely go beyong Flipkart Snapdeal and Amazon. 2. Yes many websites donot accept, but paying through Paytm Freecharge is not a bad option I guess. 3. Yes Payzapp doesn’t support Diners Club, but if you check the reviews of Payzapp on Google Play you will find so many comments stating the app is buggy. 4. I am able to pay bills(Mobile/DTH) via exclusive portal for Diners Club card. I can get 2x rewards when I pay through it. How much minimum points required to generate Dinners Voucher ? Which I will use for prepaid recharge. No, I have requested for the same. Limit highly depends on your income. yes, acceptance has been increased recently. Acceptance is fair enough I feel. My Diners Club Card worked even at Union Bank POS. Though I wasn’t expecting it to work. The charge slip showed Rupay card. Rupay is in Partnership with Diners. So it might have got processed via Rupay network. Good info though! Can we convert our rewardz points into cash to pay the credit card bill.. if there is an option please tell me. Only on Moneyback card its possible. @Siddharth: in your opinion which is better between moneyback and diners rewards? and money back offers little less reward points, this would be my first credit card, and I’m planning to do shopping and dining at malls, and also I shop a lot online. Which card would you suggest me? Diners cards is known for its temporary 10X rewards. Consider getting diners and some other bank Visa/MC card for backup. Its possible, but depends on usage, income, etc as well. You need to talk to RM. Yes, check with card catalog for limits. I have Diners club international card ,brown in color. What is the type of this card, can anyone help, is it a VISA, MASTER, or what other category…I am unable to use it online.. pls help urgently. I got dinners rewardz card today. Can we use reward points on mobile recharges and movie tickets? You can use the voucher to pay for bills/movies etc on Diners Portal. It a pathetic card to use.. When doing an urgent transaction online for academic purpose..it wasnt accepted as its not a visa or a master card..none of the categories..its the most unfortunate moment when i had decided to opt for diners card from my old hdfc mastercard. Recently I have received Diners rewards cards however I noticed that there are lot of issue with this card like acceptance issue, Not working properly in retail shop, EMI is also not available. So now I just want to change it , could you please assist me which HDFC credit card should be taken. I need it basically to get some discount on movie,payment of all utility bill(electricity,water or recharge) ,online purchase and store purchase. And also there should not be any acceptance issue at all and work properly everywhere.. I am being offered an upgrade to HDFC regalia fro HDFC dinners rewardz. What are the difference between these two? I am very new to credit cards. Regalia is a premium card. Go for it. But Diners card has 10X rewards benefit as well. You’ve to choose based on what benefit you’re looking for from a card. Hi Siddharth, What is maximum reward points we can earn per statement cycle for HDFC Diner Club Rewardz card. Is there any limit? Maximum rewards points that you can earn is 2500 per statement cycle with HDFC Diners Club Rewards Credit Card. can you please tell 1 reward point on Diners Rewards will be equal to Rs. 1 or 0.75 for flight booking. and what is meaning of “air miles” as 1 reward point = 0.70 air miles… ?? I checked on HDFC site that we have to pay yearly amount for this card but i got a call from HDFC and they said, Its life time free card and no yearly charges.Just want to known how can i confirm this. All recently issued cards from HDFC are LTF. So, never mind, go for it. Usually they’ll get a sign from you for Life time free offer. Heyy mate am upgarding from icici bank platinum credit card to Ferrari card……will I get an increase in credit limit too ???? You have to ask for it, with supporting docs. Recently I also got the Diner’s Rewardz card. But as it is only of 14 digit card, its not accepting maly online places(e.g. Paytm, Bookmyshow etc). So, how transact at Paytm or any other online place with 14digit? And, if I don’t have an HDFC account, so how pay bill from other bank as I didn’t find the account number for the card. And bilkdesk also not accepting to pay the bill as it has 14 digit. You can use it on Paytm without any issues. I’ve been using for a while. Whenever you have the digit issue, try adding “00” in front. Siddharth, can I avail EMI facility by using dinners club credit card to buy electronic devices in flipcart ? Yes, you can. Note that Card based offers gets shuffled every month. Can we buy bike on dinners club international card. I have HDFC Diners club credit card. it has acceptance issue.can I exchange it with VISA/MASTRO card. All depends on your limit. Get in touch with your RM. You can convert to other Visa/MC without any issues. Is their any charges for annual usage ? really..so even if redeem 100 points to recharge on dinersclub.com, Rs.75+ST will be charged. In that case 1 Reward point=0.75paise is just a gimmick to attract the users. Its good to redeem max and use it in one go. You have 30 days to use that voucher. Unused will be refunded as points as well. I have redeemed a eVoucher for 4000 points and for eVoucher of 1200 Rs. which i valid for month. If i am not using eVoucher at all, will I get back all my rewards points that i used (i.e. 4000 points)? i am very happy, I have HDFC dinners international credit card. I booked my flight tickets by my rewards points. Almost saved Rs10000. how to exchange this card its not used while using internet shopping. Ask bank to change to Visa/MC if you’re not happy with it. I have 2000 dinerscard reward points. It shows 75 rs for every redemption using those points. I would like to use this for recharge purpose. Can you guide me which is the best redemption method to skip 75 rs charge. If I converted as voucher, for that also they charged 75/- ? Can you please suggest..
How Can I pay my postpaid bill payment using diners reward points. can you please let me know the procedure. Best way, as Sid mentioned, is to redeem max points in one go and use the voucher fully. It is mentioned that annual fee will be waived if I spend Rs. 15K within first 90 days. I have checked this with RM who provided me the card, he is denying this. Could you pls confirm what is true. If you see on website, you’ll get it. No worries. You have to redeem the voucher on Diners Website. I am having hdfc rewards card 3000 rs evoucher number.. Can I use that in any shopping complex? I don’t want travel/hotel/recharge. Please provide example shops. I would like to use electronic shops or Dmart/Spar like that shops. Is it possible? First, congrats for having this blog. it rules. if rewards go beyond the card’s reward holding barrier, rest of the rewards don’t go under 10x rather they fallback under [3,4,5]/150Rs depending on card level. Example : I recently did a transaction at Flipkart for 30k. I own a rewards diner card. Ideally that entails me to get 30k/150*3*10 = 6k points. but rewards barrier for rewards diner card is 2500. So, 2500 are reimbursed in current payment cycle. 2500 corresponds to 12500rs. rest amount 17500 (30k-12.5k) goes in 3 points per 150rs hence, giving 350 points. So, in total, for 30k, under 10x program for rewards diner card, points availed = 2850 and not 6000! Thanks for the indepth analysis on the same. It makes sense. Yes, 2.5k is too low. Try for Diners premium. its 12.5k not 2.5k for Diners Rewards. And its mentioned clearly on their website, for rewards, Premium and Black separetely. If you would have splitted the 30k transaction in 3 installments say 10k each…you would have got the entire point. Am i correct Sidharth..if not please clarify this thing. Yes, possibly across three billing cycles would help. EMIs will attract interest as well. 37k-6k*0.75 = 32.5k > 30k !! I have a diners card and it worked at clothing shop used ICICI POC. But at jewellery shop it didn’t go through whats the issue?? It may not be enabled for Diners. Will it be accepted at all ICICI POCs?? Because morning it went through in one of the ICICI ones.. This is what I see in account information section in HDFC app. This card is being used for the first time .. I have never used this card before for any transaction.. Check your transaction summary or call bank. I am having HDFC Rewardz evoucher. They already charged 75/- for generating evoucher. Are there any charges again while I am using the same Evoucher for multiple times? Can I use this in Flipkart/Reliance digital? No charges in using multiple times. No, you can redeem only on diners website. Is there any chance these HDFC Rewardz points to buy electronics purpose except croma? You can check out their Catalog redemption options. 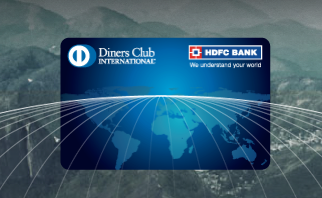 I have hdfc diners club rewards cc. How to check my daily transactions other than messages or month end total bill. PayZapp Won’t works for this card . Pls suggest me by suggesting a perfect app. Yes, Payzapp donot support Diners yet. with this offer does it really betters the rewards we get on Premium or black card? Does it make sense to upgrade the card to Diners Premium or Regalia? If you spend more than 10k a month, it betters Diners Premium. But the problem now is 10X rewards are capped to a very small number on Rewardz variant. As of now my expenditure would more than 10k on the card. Yes exactly, i feel the same. 2.5k rewards point cap is too little. I have asked for the update , mostly i will get the Premium Card. (they were suggesting Regalia First). Would it be possible for you to forward me the 1000 RP mail per 5 transaction ? Please…. You mentioned some where in this site that we could get 100 0 reward points every month for HDFC Premium cards which includes Diners Rewardz card as well( if we have received card before Sep, 30, 2016). You mentioned that this is given in the HDFC website as well. I checked and I couldn’t find this. Also I called customer care and they also told that there is no such offer. Could you please provide the link or source of truth for this. P.S. Comment on respective article to reduce confusion. It varies from card to card and from time to time. I have a diners premium card which has maximum reward points per month amounting to 7.5k. 1) Can I use EMI facility to buy expensive electronic items on Flipkart? 2) Since this card offers 10x reward points on shopping on Flipkart, will I get reward points/cashback for every month EMI is charged to my card? Or will I get the reward points proportional to only the first month payment? Is there any way to confirm this? You’ll get all 10x points upto the monthly ceiling limit and its irrespective of how much you pay first month. So if I purchase an item worth ~1.5 lac on Flipkart using my Diners premium card and choose 3 month EMI of 50k, 50k and 50k, the credits I will get is 7.5k, 7.5k and 7.5k per month. So a total of 7.5k x 3 = 22.5k wotrh of reward points. Assuming I don’t shop for anything else for the rest 3 months. SO you purchase 50k every month? if yes, its correct. You might as well loose more than gaining through the process. Check my reply to my own qn above. it has Flipkart 30k 3 month EMI use-case which leads to loss. I recently got Diners Club Rewardz Credit Card although applied for Moneyback Card. I spoke to customer care in hdfc they told me that I signed application for Diners Club card which i recall as a blank application. As of now i can not change or upgrade this card for 180 days, and I am stuck to this card as my first credit card. I want to buy something from local vendor which provides emi on Visa/MC only and as in your recent replies you told that emi through netbanking depends on the offers. So please help me on getting emi safely or recommend me some other card. If you have insta loan enabled on the card, it can be easier for you. just check with bank for the same. I called the bank they told neither emi nor insta loan is enabled on your card. I will be getting a message after one billing if emi is enabled. On the other hand they told me that if online retailer is providing you emi bank has no problem with that, so I am more confused now. And can I go for Moneyback Card upgrade right now. Moneyback is actually “downgrade”. Yes, if you prefer Visa/mastercard, you can do so. Recently I got a call from a telecaller of HDFC bank and got to know from them like the card would be life time free if an amount of 1299 is paid in three instalments as an EMI(1.3%). Is it true that the card would become LIFE TIME FREE? In addition to this one of my colleague got this card directly as a LIFE TIME FREE without any application charges. can you give more info on this. HDFC has different offer for different location/profile. Whatever you get in writing should be true. Do I still get reward points if I use the Diners card to make payments through Paytm or Freecharge? Can you also tell me which is a better card for non metro city, Diners Black or Regalia or Infinia? 1. If I make a spend of 1 lac in a single transaction, then will the transaction be considered as 10K of 3 points/150 & 90K of 6pts/150 (or) 1 lac of 3 points/150 and all future transactions alone will get the additional 2 times bonus post 10K spend ? 2. For the rewardz variant, how much is the limit for 10X points ? Can you also please tell me the limit for 10X points for Premium as well ? Thanks for this blog, Sid. Really helpful,A lot of information. I am a rewardz card user. I own the rewardz card, and I must tell you that the free access to lounge is awesome. Hey Siddharth, does the add on card member gets the services to use lounge access. Not really advertised so, but you can give it a try. I have a rewardz card and got an offer to update to Premium Variant, not able to decide as to whether to upgrade or not as premium variant does not give double points on spends over 10K. In a fix as of now, any suggestions as any feature of premium card which is not listed on their website I am missing on? I don’t think they issue “platinum” card any more. I think you missed that I was asking about Diners Premium card ? Well, that depends on your spend pattern. If you need to avail 10X offers, premium is good. Else, 2x on Rewardz is good as its a standard feature. Customer care should be able to help. I am confused between Regalia, Diners Club Rewardz and Times Platinum cards. I want to have have at least 4 domestic lounge access per year. Which card has the best reward plan along with the lounge access? Does diners club premium provides the reward spent when used to refill e-wallet. ?? No sure, but it has to. I have applied for Diners rewardz and would like to ask few questions about the lounge access. The website says unlimted access at domestic lounges. Now does Domestic means any airport in India ? Or just Indian domestic airport terminals. I am from Mumbai and i fly twice a month from the T2 airport to a international destination and i would only prefer using it at the Mumbai international airport T2 “Clipper Lounge” which also serves alcohol. Now can i use my Diners rewards CC on that specific lounge. Has any1 with a Diners rewards used that lounge before and is there any limits to use per year ? I was interested in the Amex Platinum reserve but unfortunately my ITR is only ₹450000. So was looking for my first CC which will give me lounge access and some benifits from shopping. Domestic means any lounge located in India. I have Business money back and my limit was increased this February from Rs. 20,000 to Rs. 75,000 on my request. So when can I request for diners and should I ask for Diners Rewardz or Diners Premium ? My annual income is Rs. 2,88,000. Rewardz fits the income level. You can change cards every 6 months once. My mom has HDFC solitaire credit card. She uses it very rarely. I want to get her card converted to diners rewardz. How should i go about it. Should i cancel the existing credit card and apply freshly for diners rewardz card or direct conversion is possible?? Can this be done through email or CC?? Note – there are no upgrade offers on her card(as she uses it sparingly). The reason for diners rewardz is lounge access. Hi, WIll I get the reward points if I make a EMI purchase using rewardz? I made a purchase on flipkart. No idea, but as per their Terms, you’ll get. Am just not sure if its EMI on FK or inbuilt EMI they refer to. can i use this to buy a phone from flipkart ?? Do i get any reward points for amount spent on flipkart?? Yes, you save 15% as 10X rewards is live. I just received my diners rewards credit card which they are offer 10X points. Maximum points are 2500. Since maximum rewards are only 2500.how will i get the remaining points,will they come in next statement cycle ? That’s how it works AFAIK. For your information, I have HDFC dinners Rewards for last 3 years and i have been using it in international lounges (working Fine) without charges. I too am holding Diners Rewards Card for 3 years now, never tried it in International Lounge. I am also thinking of giving it a try next time. In which country, you used it? I am also using this card from past 3 year and this card is best of my all CCs. But i have never used Lounge (Basically i dont know ABC of lounge). At the same time i am frequent Domestic/International flyer (more International KATHMANDU/THAILAND). Could you please let me know brief about How to get access to lounge ,what are the documents required and how to identify a lounge with free access using this card. I am holding Regalia card(before upgrade money back) for more than 6 years. As HDFC don’t issue two cards at same time, I would like to close regalia card and take rewards cards. I use my card more for shooping, travel and entertainment. What is your suggestion about closing my old card and taking rewards card? I have been told by my bank RM that I am eligible for Diners Rewardz or Regalia First. I want lounge access and Cash back points. Which one should I go for ? In HDFC net banking , in cards section , there is rewards and Redemption option. Just like HDFC platinum debit card where cash back money can be transferred back into the account (750 per month Max ) , can the same be done with the Reward points of Diners Rewardz or Regalia first ? And one more question specific to Diners Rewardz , I got to know about the 10x Rewardz offer from some comments above. .Is 10x offer always there or is it promotional ? Are there no insurance benefits in Diners ? In continuation to the previous message. Just had a word with my bank RM and credit card team. They say that in Diners Rewardz 1 Rp is NOT equal to 0.75 Rupees . I told them to check the website . For that they said the website is yet to be updated. They said it is 0.25 Rupees. So what exactly is the reward rate ? Does Diners Rewardz cover International lounges ? My RM told me that you are also eligible for Regalia FIRST. I tried to get Diners Premium but RM refused. Now I am more of an Online shopper ( 60k) per year avg and have around 40k as insurance premium to pay ONLINE. I travel yearly 4-5 times in flight. Which card should I choose ? 1. I recently availed my points in Diners Rewards, it is 1 reward point = Rs. 0.75. 2. Never tried, however, i can see here, that someone was able to accomplish that. As per Website, Diners Rewards support Domestic Lounge only. Can i use diners premihm premium card to buy a phone with emi option.? Yes, as long as EMi option is available with merchant/card. I booked hotel using my premium card. I had used reward voucher. Now I need to cancel the plan. It’s was saying refundable upto 24 hours. Does it apply to reward voucher too? If yes, will I get my reward points back or voucher? You got to ask Diners Team as Hotel T&C’s is applicable. This happened with me once, if there is some amount refundable as per hotel policy, its equivalent reward points will get reversed to your account. However, you will have to call them to confirm the same, when I did it, it took 4-5 working days for the same. It works fine for me. Make sure Intl txn is enabled on your card. I was recently issued a HDFC Diners Club Rewardz Credit Card, now they have charged me membership for Oneassist (Insurer for Credit card fraud). Is it worth paying Rs.1299/- for this service? I am using diners rewardz from last 9 months. Do we have option for Add on cards on Rewardz cards ? and does add on cards allow lounge access same as Rewardz and other diners card? Yes, we have option for Add on Cards. I got 3 add on cards for my family members, and they too get domestic lounge access, just as I do. I’ve recently applied for a credit card from hdfc since I hold my salary account there and they will be providing me Diners club rewardz card. However, I’m a little confused if I should take this card because I just need a basic card for paying my course fees, groceries and some personal shopping such as electronics. Can you suggest me a card from hdfc n icici that can provide me the above? If I do multiple transactions, each below Rs.150 making a total of say Rs. 1500, instead of single transaction of Rs.1500, would i still get reward points? 3 Reward Points for every Rs. 150 of Retail spends. Lounge Access is getting revoked from 15th August 2017 onwards. Time to upgrade or switch to another Card altogether. HDFC took our loyalty for granted. Sir, I just got my Diners club reward card,plz tell me is there any charge for transferring money to paytm wallet. No Charge on adding money to PayTM wallet. However, you won’t earn reward points on adding money to PayTM Wallet. But, if you are buying something using PayTM gateway, without adding to wallet first, you will get reward points. How can I save my Reward Points before 15th and I have 25k+ reward points. I hold a Life time free HDFC Money Back credit card and have recently been offered an upgrade to the Diners Club Rewardz card. Is it a good idea to upgrade to the Diners Rewardz or should I ask for some other card? All to SBI Prime which is best ? SBI prime or above hdfc cards? Most of the benefits have been withdrawn from this card. Fun fact- my 22 years old cousin with no salary or itr have been given this card as LTF. And card was approved in 1 day and delived in 3 days. I have got a Diners Rewards insta credit card. May I know how this works ??? It says I can use only for online purchase. is the unlimited complimentary lounge access still stands valid for this card ? As of August 2017 – Nope. No more Airport Lounge Access. I want to exchange my dinners rewardz card with money back. Can you please help me, what to do? I am fade up with my dinner card and can’t give all examples here. Please help me. Been using the Rewardz card for the last year. Everything was great at the start. 1-on-1 movie tickets, 0.5 per RP and unlimited Airport Lounge. A great card for someone like me who travels a lot and loves to watch movies. Except….. since August 2017, HDFC have rescinded the 1-on-1 ticket offer, reduced 1 RP to 0.3rs and No Free lounge access. So… HDFC basically took everything that I liked about this card and completely trashed it. Kudos. In my opinion, it’s time to change the rating on the page to 1/8. I am using money back credit card .Is it possible to upgrade my card to dinners club reward ?My card is almost an year old. I am holding Diners club Rewadz credit card .. I am not a frequent traveller..Got an opportunity to travel to Dubai for couple of days.. I am not very sure of my credit card usage internationally..
What are the points I need to be sure with my card before leaving? Is there any restrictions in using the card for making purchases at Dubai airport? What is the charge usage of the card at the Dubai airport.. This is Sheik, i am new user of HDFC diners club credit card. my question is diners club international credit card life time free card? Is diner rewardsz or moneyback credit card are useful for international website like shopify. Because shopify accepts only credit card. You have posted this article in 2015 and looks like HDFC has changed a lot of features for this card now. Is it possible for you to review this card again and help us with latest feature and terms? Thanks.. I got this Dinners Rewards cards under net banking CC offers from HDFC bank. From 5 cards option I found this is worth & best card rest than others. The 10X reward offer with partners is shows upto 31st March 18. Hope HDFC will increase the offer ahead. Which was very attractive still as its with all main ecom like Amazon, Flipkart etc. I read this blog fully & come to know earlier this Dinners Rewards card offering best before Aug 17. Still I want to mention some benefits which I got with this CC. I got 100 recharge for activation of card offer in Nov18, also got 200 recharge for 6 txn for first every 3 month done. I like overall offerings as There is also top spending offer of minimum 20k limit per day on which they giving 1000 Amazon gift card for top spender every day under offer period. Apart from that some discount offers with online partners which they sending on sms & emails are good. My Experience with this card in new & just of 4 months. I hope HDFC will keep interested us in card more & more by offerings. I hold this card with credit limit of 8 lacs, I do not hold any other credit card. Is it worth to continue this card or should I upgrade to other credit card. I am mainly looking for airport lounge access. I also hold HDFC Rupay debit card but it did notwork on international lounge in Hamburg, Germany. Why not ask for an upgrade to Clubmiles?